Bob Lobel, current co-host of Legends with Bob Lobel, is a former sportscaster for WBZ-TV in Boston, Massachusetts. He anchored the sports segments on evening newscasts and hosted the weekly programs Sports Final and Patriots 5th Quarter. Check back to BobLobel.com often for more photos and memories from Bob's historic career. 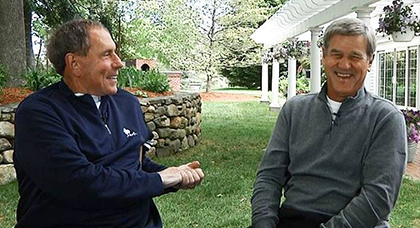 Bob Lobel is back on the air with an all-new television program Legends with Bob Lobel.